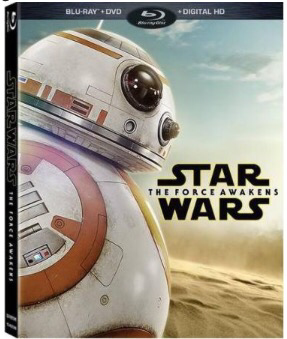 Bonus Features Revealed For The Force Awakens Blu Ray! As we all await the release of The Force Awakens on Blu Ray/ DVD (presumably April 5th), some juicy details have arrived giving us more on the special features! First off, we all knew there were scenes missing from the film. For those of you who had a chance to read The Force Awakens novel, you may have noticed sequences in the story that matched certain toys that were released via Hasbro on Force Friday that never made the final cut. (the Snow speeder chase to name one). Well, many of you will be pleased to hear we will get these deleted scenes in the bonus features! (Rumor has it there are seven) enjoy the list of what you will get just a mere month and a half away when you pick up your copy of The Force Awakens! Keep heckling back as we receive more updates. Previous Previous post: New Rebels Clip and stills features Yoda and Anakin!